Traditional humidifiers ‘humidify’ by forcing moisture into the air that often carries mold and bacteria with it. These vaporizer and ultrasonic humidifiers are breeding grounds for dangerous diseases and can often cause humidifier fever, as warned by the EPA. Venta humidifiers use the natural humidification process of Cold Evaporation technology in which dry, dirty air is pulled into the Airwasher unit where it then passes over the rotating, moistened Disc Stacks. Airborne particles adhere to the Disc Stack, eventually falling into the basin where they remain. Only moisturized air exits the unit, while particles such as dust, bacteria, and pollen do not evaporate. 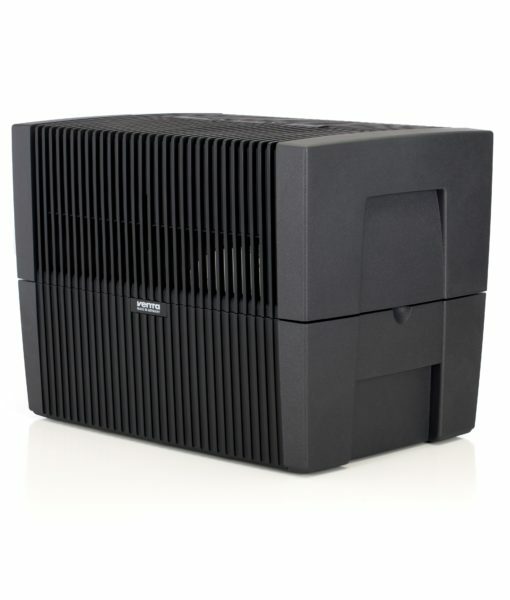 For rooms up to 200 square feet, the Venta LW15 Airwasher humidifies dry room air while simultaneously purifying it by removing dust, pollen, pet dander, and other airborne pollutants down to 0.3 microns in size. 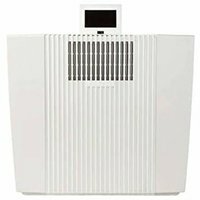 The Venta Airwasher is both a filter-free evaporative humidifier and filter-free air purifier, all in one lightweight unit. Additionally, Venta Airwashers do not produce the white dust common with other humidifiers due to the fact that we use Cold Evaporation technology. 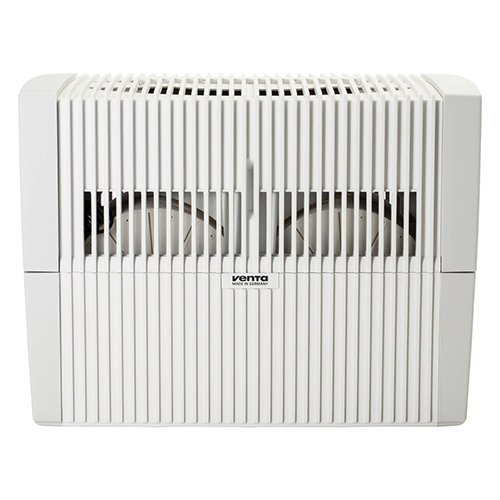 By implementing the principle of humidifying and purifying air for homes and offices without the use of filters, the Venta Airwasher is hygienic, simple to use and easy to clean. 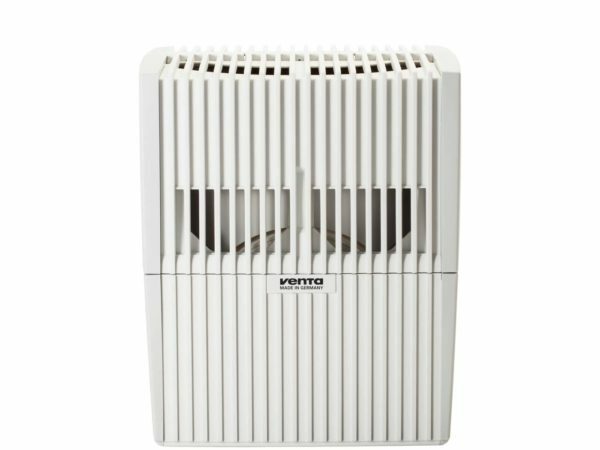 Using a Venta Airwasher will help to reduce common cold symptoms caused by dry air such as dry skin, chapped lips, and sinus congestion. Keep allergies under control against dust mites, animal dander, and pollen. 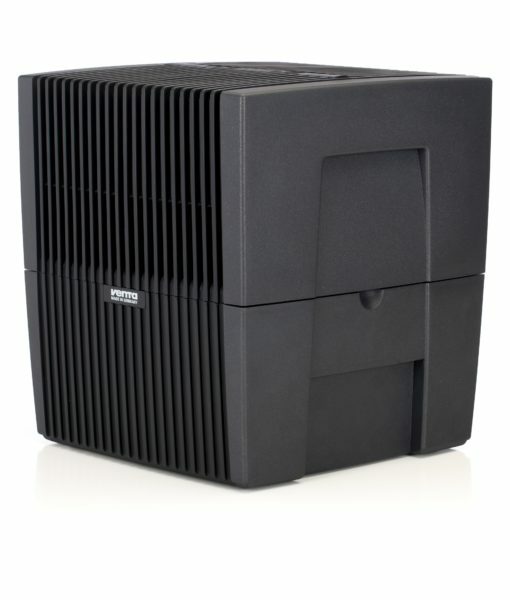 Perfect indoor air cleansed by a Venta Airwasher helps to improve concentration and reduce headaches. Properly humidified air will also eliminate static electricity and work to preserve wooden furniture and musical instruments. Venta Airwashers offer the consistent performance of high-end German engineering; delivering perfect indoor air quality with both humidified and cleaner air to breathe. 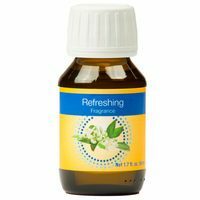 This compact 1.4-gallon capacity humidifier is powerful enough to work with indoor spaces of up to 200 square feet, perfect for a bedroom, office or nursery, and is designed to resist over-humidifying the interior. 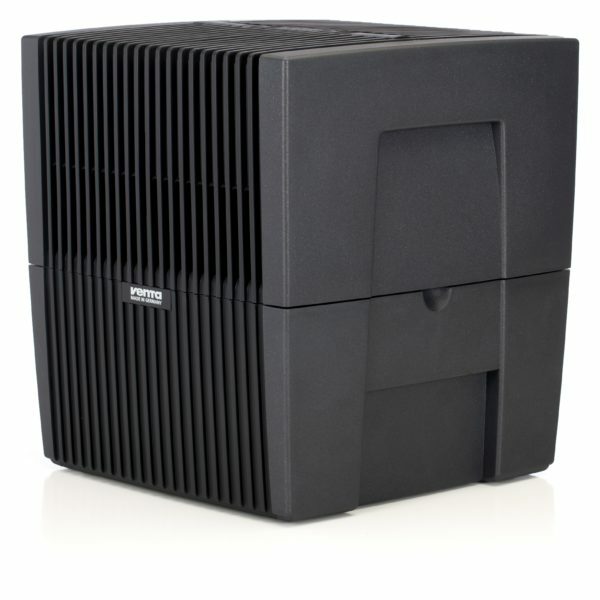 For rooms up to 400 square feet, the Venta LW25 Airwasher humidifies dry room air while simultaneously purifying it by removing dust, pollen, pet dander, and other airborne pollutants down to 0.3 microns in size. The Venta Airwasher is both a filter-free evaporative humidifier and filter-free air purifier, all in one lightweight unit. Additionally, Venta Airwashers do not produce the white dust common with other humidifiers due to the fact that we use Cold Evaporation technology. By implementing the principle of humidifying and purifying air for homes and offices without the use of filters, the Venta Airwasher is hygienic, simple to use and easy to clean. Using a Venta Airwasher will help to reduce common cold symptoms caused by dry air such as dry skin, chapped lips, and sinus congestion. Keep allergies under control against dust mites, animal dander, and pollen. 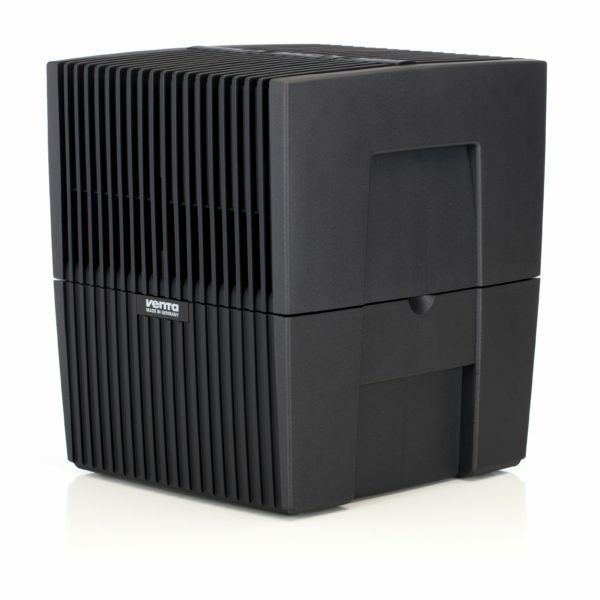 Perfect indoor air cleansed by a Venta Airwasher helps to improve concentration and reduce headaches. Properly humidified air will also eliminate static electricity and work to preserve wooden furniture and musical instruments. Venta Airwashers offer the consistent performance of high-end German engineering; delivering perfect indoor air quality with both humidified and cleaner air to breathe. This compact 2-gallon humidifier is powerful enough to work with indoor spaces of up to 400 square feet, perfect for a living room or master bedroom, and is designed to resist over-humidifying the interior. 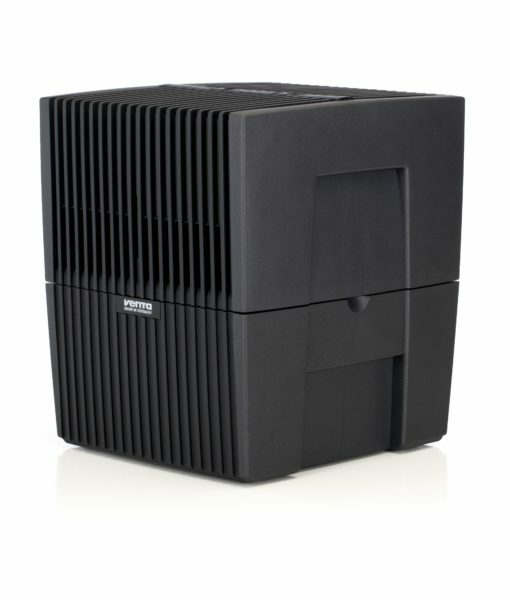 For rooms up to 800 square feet, the Venta LW45 Airwasher humidifies dry room air while simultaneously purifying it by removing dust, pollen, pet dander, and other airborne pollutants down to 0.3 microns in size. The Venta Airwasher is both a filter-free evaporative humidifier and filter-free air purifier, all in one lightweight unit. 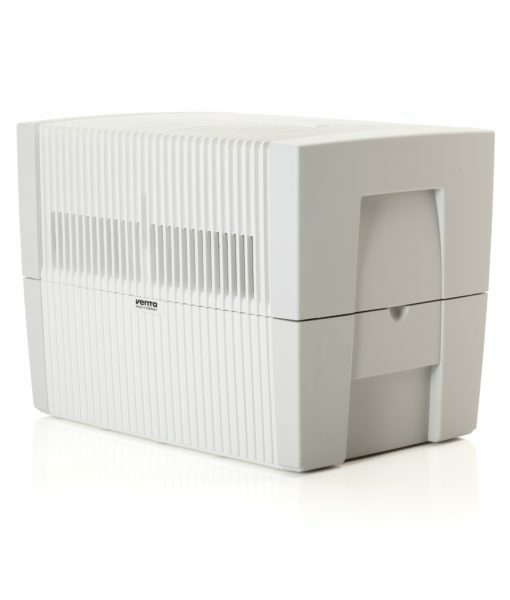 Additionally, Venta Airwashers do not produce the white dust common with other humidifiers due to the fact that we use Cold Evaporation technology. 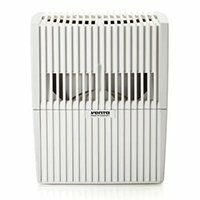 By implementing the principle of humidifying and purifying air for homes and offices without the use of filters, the Venta Airwasher is hygienic, simple to use and easy to clean. 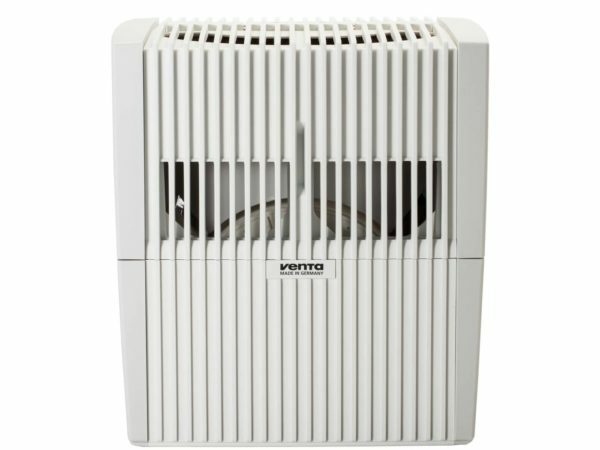 Using a Venta Airwasher will help to reduce common cold symptoms caused by dry air like dry skin, chapped lips, and sinus congestion. Keep allergies under control against dust mites, animal dander, and pollen. 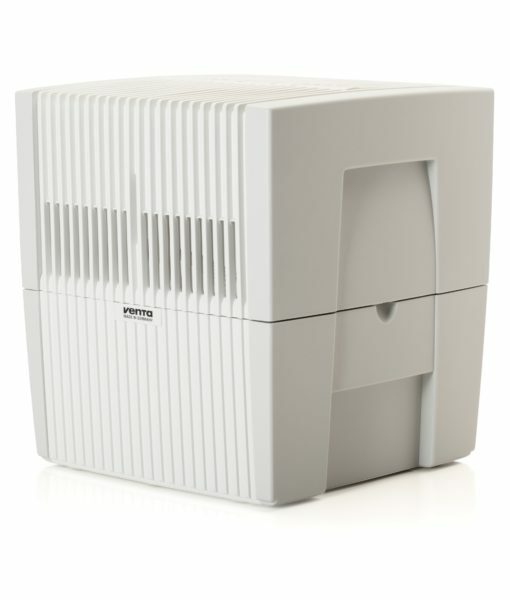 Perfect indoor air cleansed by a Venta Airwasher helps to improve concentration and reduce headaches. Properly humidified air will also eliminate static electricity and work to preserve wooden furniture and musical instruments. Venta Airwashers offer the consistent performance of high-end German engineering; delivering perfect indoor air quality with both humidified and cleaner air to breathe. This 3-gallon capacity humidifier is powerful enough to work with indoor spaces of up to 800 square feet, perfect for large open rooms, and is designed to resist over-humidifying the interior. While traditional humidifiers are busy constantly pumping moisture into your air, Venta’s revolutionary Cold Evaporation Technology ensures that your air only takes the moisture it needs. This prevents over-humidification which can often lead to mold and bacteria growth. Unlike many humidifiers available on the market, Venta Airwashers produce zero ozone, ions, or white dust. 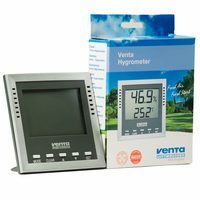 Perfect, healthy humidification with Venta. 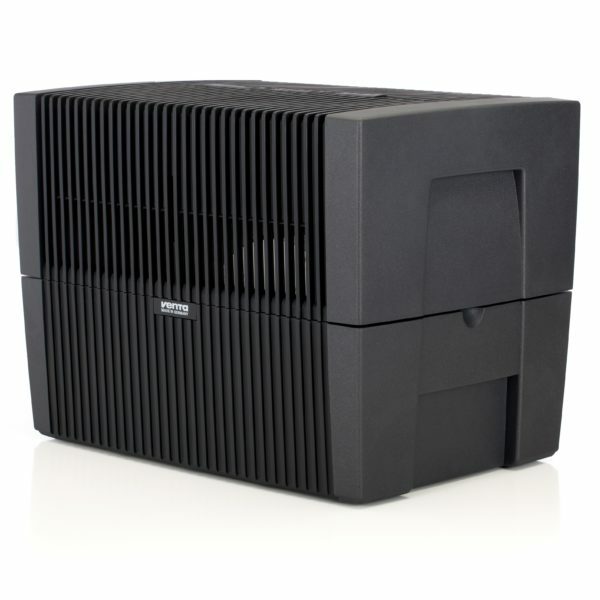 We do not think of the Venta Airwasher as just a humidifier; it is so much more. It is the 2-in-1 humidifier and purifier that works in harmony with both your heating and cooling systems to clean your air and add the proper level of moisture, no matter the season. Our one device is your ticket to the best indoor air quality for your space. Go from out of the box to up and running in under five minutes. Our mission is to provide you with a simple solution to dry, dirty air, and the Airwasher provides just that. Featuring flawless German engineering, the Venta Airwasher requires no filters to replace or clean. Extremely low maintenance, our Airwashers are dishwasher safe, and only require a twice-monthly wipe down. Using our patented Cold Evaporation technology, the Airwasher removes unpleasant particulates like dust, pollen, mold, and bacteria from your air down to 0.3 microns, while adding the fresh, clean water your air thirsts for. 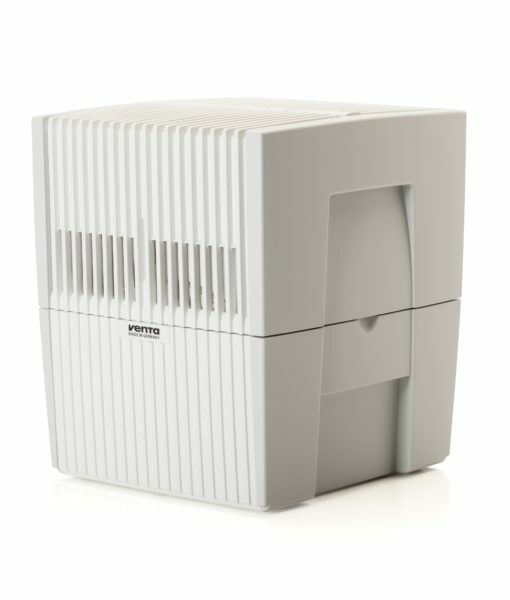 No filters, no white dust, just pure, perfect air with Venta’s 2-in-1 humidifier and air purifier.